There are three things to understand when buying new tires for your car; the size, speed rating, and load index. Making the correct selection is very important to maintain optimal performance, safety, and fuel efficiency. Fortunately, all of this information is easy to find. 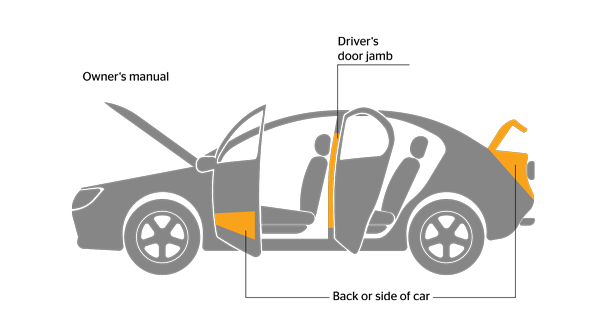 You can locate it inside the driver’s door on your car, inside the fuel flap, or inside the glove compartment. Alternatively, you can consult your vehicle documentation and tire manufacturer specifications. When considering tire size, there are two simple rules to follow. Firstly, the replacement tires should be the same size, load index and speed rating specification as recommended by the vehicle or tire manufacturer. Secondly, the replacement tires must never be of a smaller size or load-carrying capacity than the original specification. The documentation supplied with your vehicle outlines the recommended tire sizes for your car. Compatibility is determined according to its outer dimensions – diameter/rolling circumference and width – and labeled as a standardized tire size indicator on the sidewall. Also, the size must comply with the vehicle’s requirements regarding speed rating and load range. Together, the load index and speed index make up the full service description for a passenger car tire. It must correspond to the information provided in the vehicle documents. 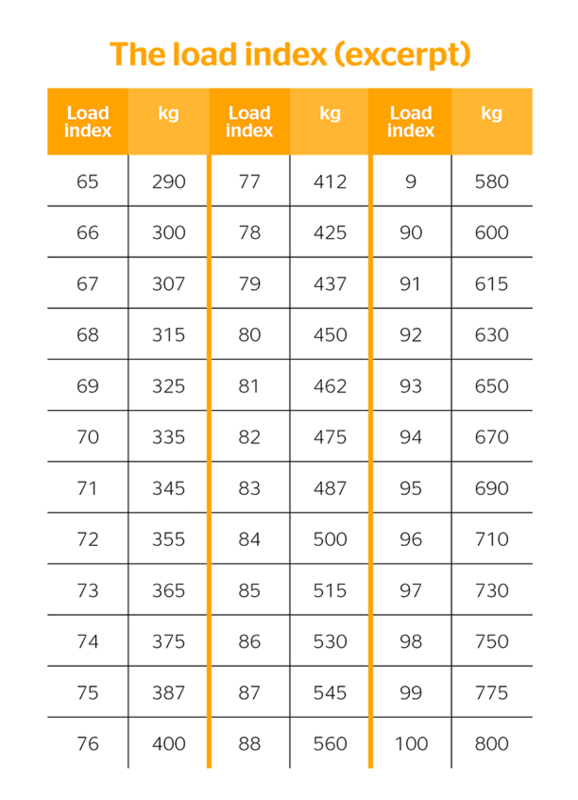 The load index rating is the maximum capacity of a passenger car tire, calculated from the maximum permissible axle load range between two tires. 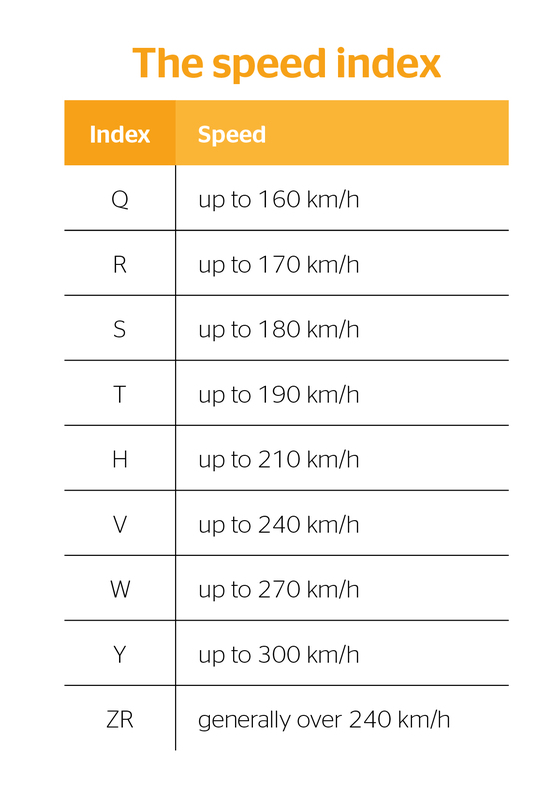 The speed index rating is also a relevant factor when choosing a tire. The tire’s speed capability must be at least equivalent to the top speed of the vehicle. Its speed rating indicates the maximum permissible speed (at full load) of a tire, and whether it’s appropriate for your car. Make your tire size selection in strict accordance with vehicle documents and tire manufacturer recommendations. 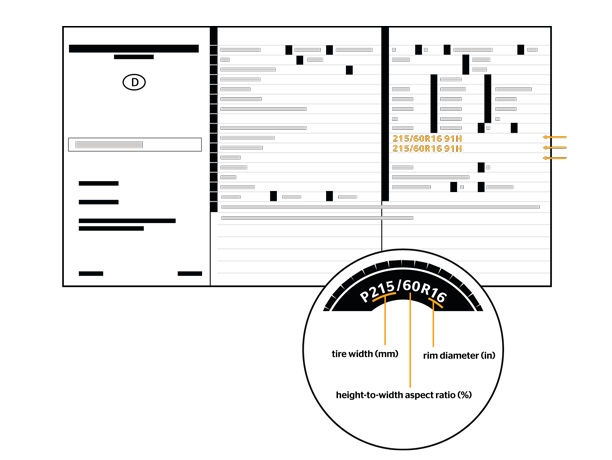 If the combined wheel and tire diameter aren’t correctly matched, there may be drastic differences in ride height and speedometer readings. For example, fitting 17-inch-diameter wheels to a car that is designed to have 14-inch-diameter wheels will change the ride height. That means the car body will be higher off the ground. There will also be a slight increase in top speed, and the speedometer will no longer be accurate. Last but not least, the car will accelerate slower. Switching to different tire sizes can only be done in compliance with all legal requirements and regulations – plus the recommendations of the vehicle, wheel, and tire manufacturers. At the very least, the wheel must have complete freedom of circular motion and the tire’s adequate load capacity must be observed. The internal construction of tires fitted on any vehicle must either be radial or bias-ply. Fitting mixed tire constructions (bias-ply and radial together) for cars, caravans, and other light trucks is unsafe and illegal. The only permissible exception is the use of a spare tire for an emergency. Concerning the choice of wheels or rims, the same guidelines apply. Motorists must use the standard wheels or rims approved by the vehicle manufacturer as recommended. For optimal safety and performance, replace all four tires at the same time. While it is possible to switch out less than four tires at the same time, you should follow a couple of guidelines regarding tire size. If only replacing one or two tires, for example, ensure that each one is the same size and has the same load index and speed rating as specified by the car manufacturer. When replacing only two tires, fit both of them to the wheels on the rear axle. The reason for this is that the newer tires will have much better grip, particularly on wet roads, and reduce the risks of hydroplaning. Replacing only a single tire is not advisable, as it can impact vehicle suspension or transmission and produce excessive wear on the tire tread. But if replacing only one tire is unavoidable, then pair the single replacement tire with the tire that has the deepest tread depth, then fit both to the rear axle.